Pop-up stores have become a permanent component of the retail landscape. The name “pop-up store” was coined to describe a retail store of a strictly temporary nature. 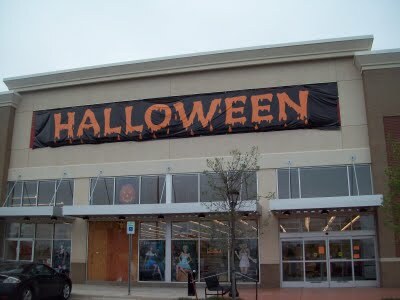 Typically they were the Halloween store, or the Christmas decoration store, or some other strictly seasonal sales concept. Over the years, these stores have evolved into what is now a sophisticated and carefully planned marketing and branding concept. For shopping center owners, pop-up stores seem like the perfect solution to retail vacancies. At the same time, retailers also use them for testing new markets or concepts as well as for promoting brand loyalty. Toys”R”Us upped the ante during last year’s holiday season by opening a significant number of temporary stores to successfully increase their holiday season sales figures. First and foremost is the decision between executing a lease or a license agreement with the retailer. For a store that will be open for a short time period, we advise our clients that a license is a much better option. It provides for much less negotiation and much faster execution. Also, it does not constitute an interest in the property and therefore gives the landlord greater flexibility in a holdover situation. Another issue is the need for appropriate insurance coverage by the store along with an appropriate indemnity provision protecting the landlord and its interest. Also important is the drafting of the use clause in the agreement. The language needs to be drafted narrowly, so that the operator is held to a strict standard of what it can and cannot sell. Critical for the landlord is that the use clause not violate any “exclusives” language in existing leases. With the holiday season generating nearly half of a retailer’s profits, allowing a violation of another retailer’s exclusive could result in severe liability for a landlord. Another consideration is signage. Existing retailers are generally held to a strict signage criteria, and they would have cause for concern if the landlord relaxed its signage standards and allowed a low quality banner being hung above a store entrance. The landlord should require professional grade signage, even if it is of a temporary nature. A final issue that could also be significant is the ability for the landlord to enter and show the premises to potential future tenants. Usually pop-up stores use vacant space that is available for long-term lease. The landlord needs to maintain the ability to continue to show the space while not interfering with the pop-up store’s use. There are several other issues to consider, but it is best to let experienced real estate attorneys such as those at our firm counsel landlords or retailers directly about those matters. We have been crafting lease and license agreements for retail properties for more than 30 years, and we have worked with shopping center landlords and retailers throughout Florida and the entire country.